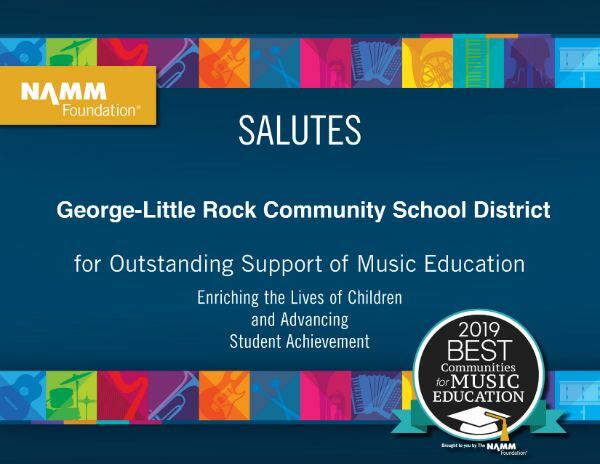 As we close out Music in Our Schools Month in March, we are excited to announce that George-Little Rock Community Schools has been named a 2019 Best Community for Music Education! 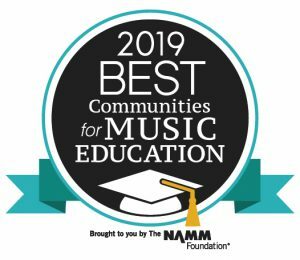 G-LR is one of just four school districts in the State of Iowa and among only 4% of districts nationwide to receive the award from the NAMM Foundation. We are extremely proud to receive this prestigious honor. 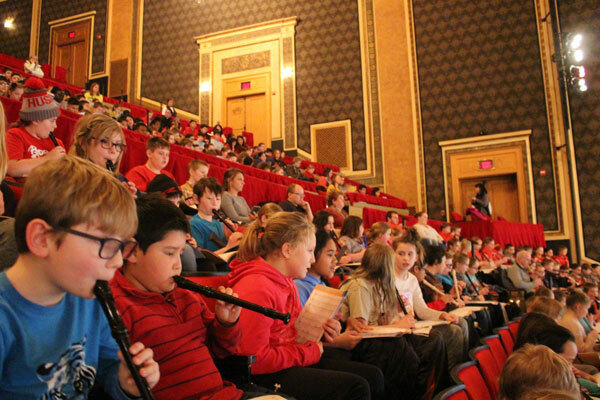 Music education is vital to our school curriculum and culture. 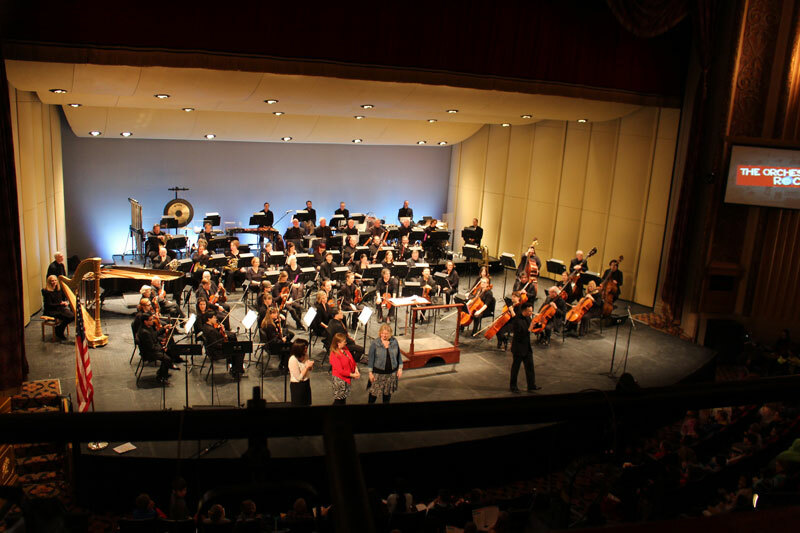 Music education provides opportunities for students to work on skills such as perseverance, cooperation and discipline that are important attributes for success in life. Congratulations to the students, staff and community! Special thanks to G-LR band instructor Nicole Lewis for providing details to NAMM about G-LR’s music education programs and thanks to our community for supporting music. 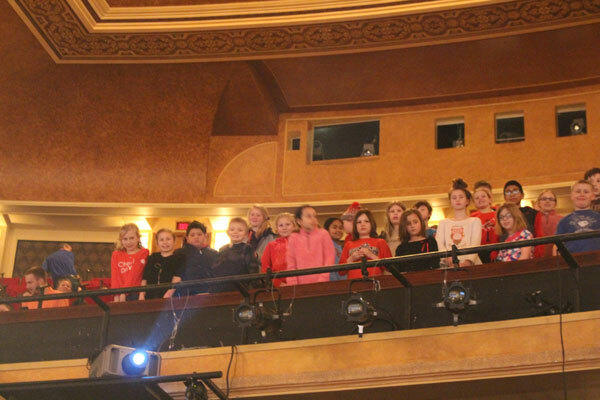 Learn more in this Sioux City Journal article. As always, if you have questions or concerns feel free to contact me at 712-475- 3311 extension 302, email at jeyerly@george-littlerock.org or stop by for a conversation. Students will have full days of school on May 22, 23, 24 and 28 as make-up snow days, under a revised calendar approved by the G-LR School Board. May 28 will be the last day of school for students. Teachers will have a work day May 29. If there are additional days of inclement weather, we will add May 29, 30 and 31 as needed as student make-up days. Teachers will have a work day on the day after the last day for students. Cross your fingers for spring weather! GLR preschool registration forms for the 2019-2020 year must be returned by Friday, March 29, 2019, to enroll your child. Children must be 4 years old by Sept. 15, 2019. Materials have been mailed out to families. 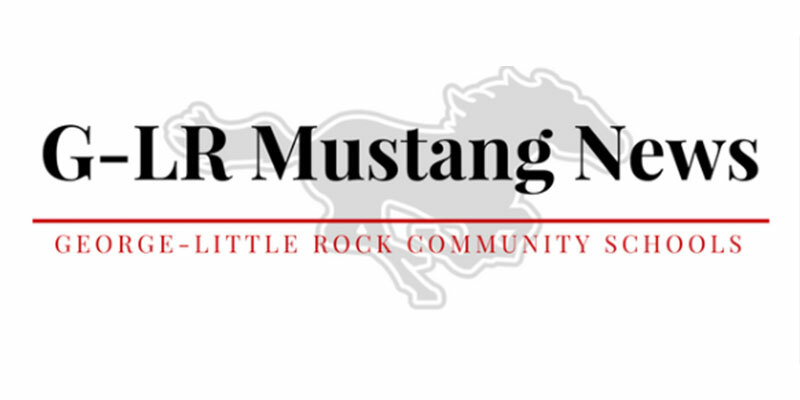 If you haven’t received them, please contact the George school office at 475-3675 or the Little Rock school office at 479-2771. Each site (George or Little Rock) is allowed 20 students. Join Us for Spring Swing This Weekend! 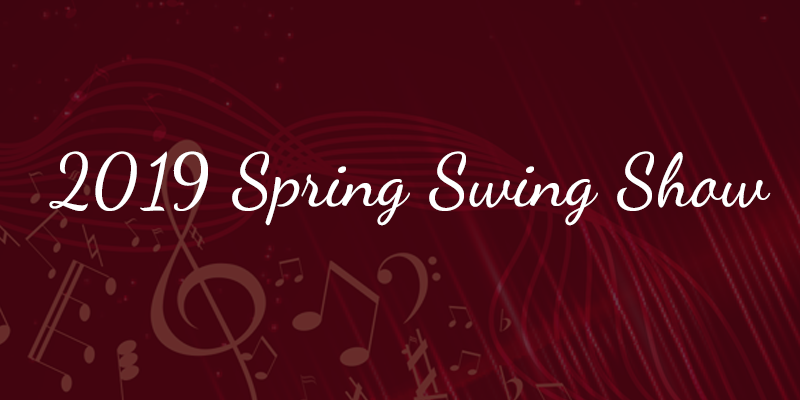 Come enjoy the sounds of swing and jazz at Spring Swing this Friday and Saturday night. The George-Little Rock Swing Choir and Jazz Band will perform at 7:30 p.m. on March 29 and 30. There will be refreshments and an intermission. 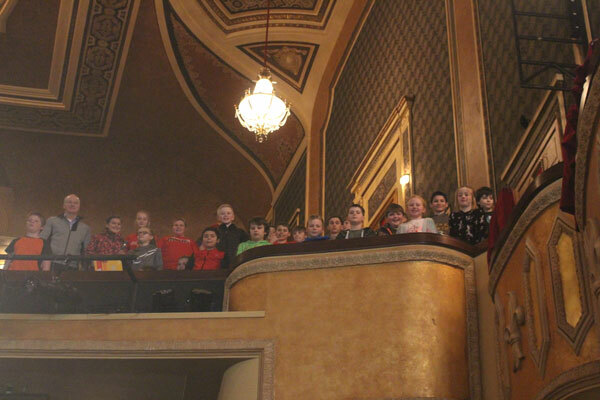 George-Little Rock elementary students got the chance to hear and join professional musicians with the Sioux City Symphony Orchestra during a field trip to the symphony this month. 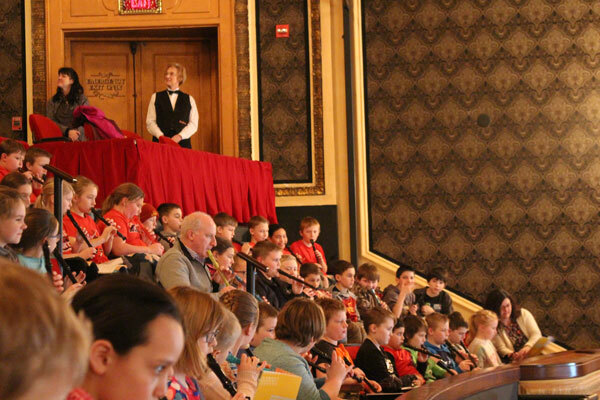 The orchestra has a vibrant program of educational outreach (see outreach video). Thanks for this wonderful opportunity! Friendly reminder: Please talk with your student(s) and check their backpacks regarding what is appropriate to bring to school. We occasionally find items that are inappropriate for school on school property. Please note that there will be significant consequences if inappropriate items are brought to school. All juniors and junior parents are invited to a Financial Aid Meeting on Tuesday, April 23 in the High School Media Center (library) at 5:30 p.m.
March 29 and 30 – Swing Show, GHS, 7:30 p.m.
April 1 – Co-Ed Track, MMCRU (Marcus) 4:30 p.m.
April 4 and 11 – Strengthening Family Program for ages 10 to 14, George Elementary, 5:30 p.m.
April 5 – MS Spring Dance, 7 to 9 p.m.
George-Little Rock students competed at the individual state speech contest at Woodbury Central High School in Moville March 13, with three advancing to All-State: Lillian Burdsall in acting, Lexi Hengeveld in Reviewing and Noah Wessels in Poetry. 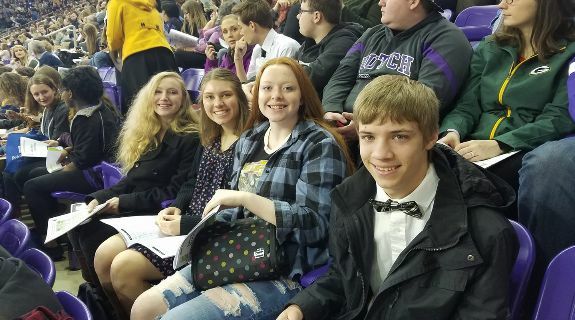 At All State on Monday, March 25, judges gave complimentary remarks to our students. Listen to judges’ comments for Noah, Lillian and Lexi. 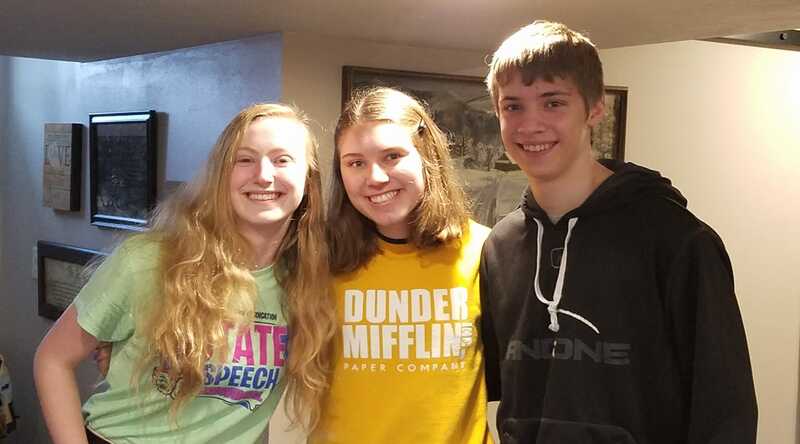 Kudos to all of our individual speech performers! Congratulations to Matt Hansmann for being a part of the winning company “Grumbo” at the NASA Space Design Challenge at the NASA Johnson Space Center in Houston, TX last weekend. Thank you to all the G-LR students that went on the trip. You represented G-LR well! 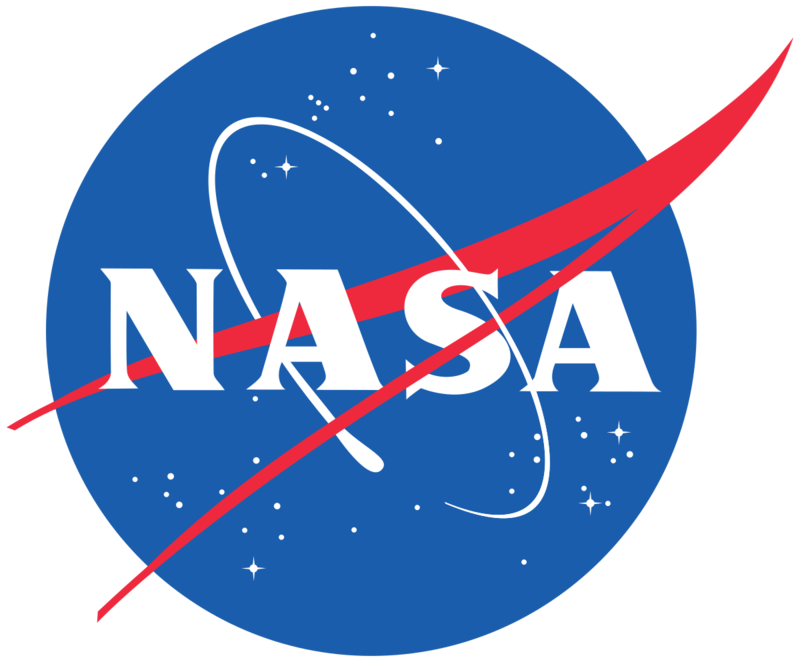 The Space Design Challenge is sponsored by NWAEA with a mission to promote Science, Technology, Engineering and Mathematics to high school students interested in possible career paths in any STEM areas. Students form and operate an engineering company. The competition is designed to provide experiences similar to those encountered by real engineers. G-LR is proud of how these players have represented our school! Well done on a 20-4 season!